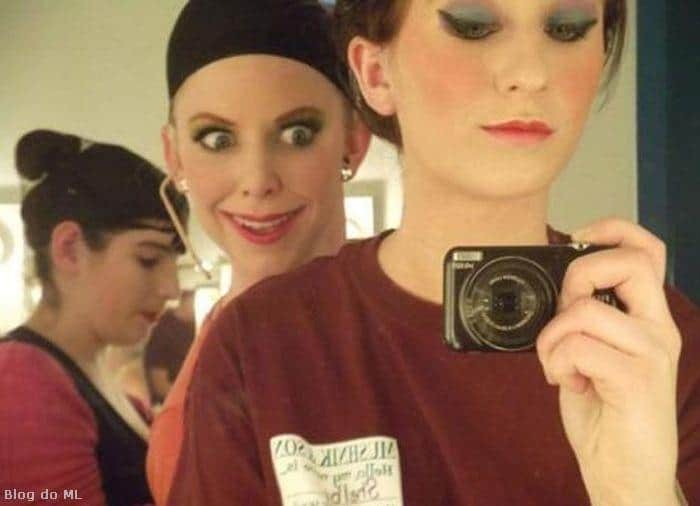 While photobombs are traditionally performed in the background of images, this one kind of breaks with tradition as the perpetrator peers into the foreground to exact her joke. We can’t be the only ones who are a little freaked out when people look over our shoulders at what we’re doing. 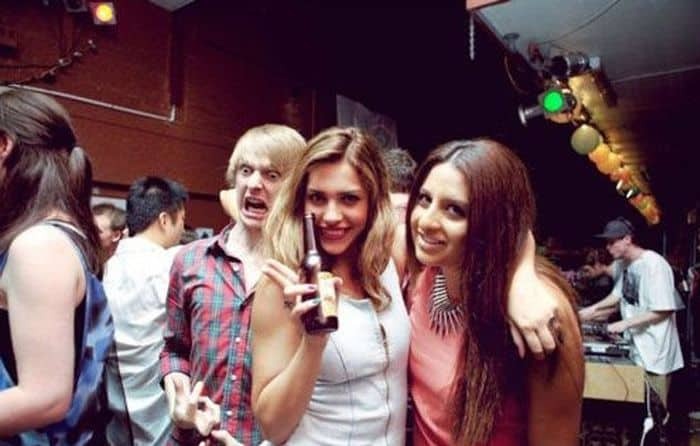 We can only imagine what the girl in front is going to think when she sees this photo. 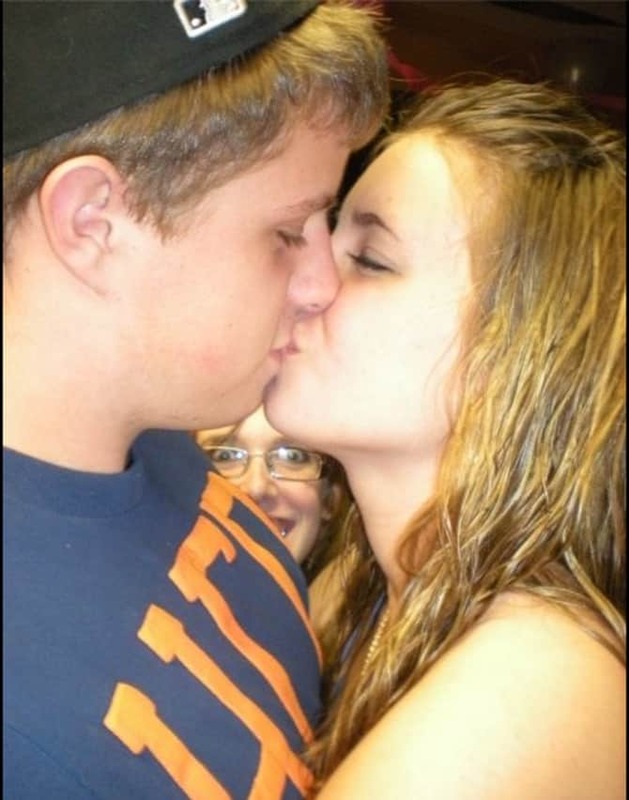 While you try and try to take in the loving scene of two people sharing a kiss, your eyes will always be drawn to the man in the back with his shirt off. It’s inevitable. We can’t tell whether she’s being serious or she’s aware there’s a photo being taken and she’s seizing her opportunity. 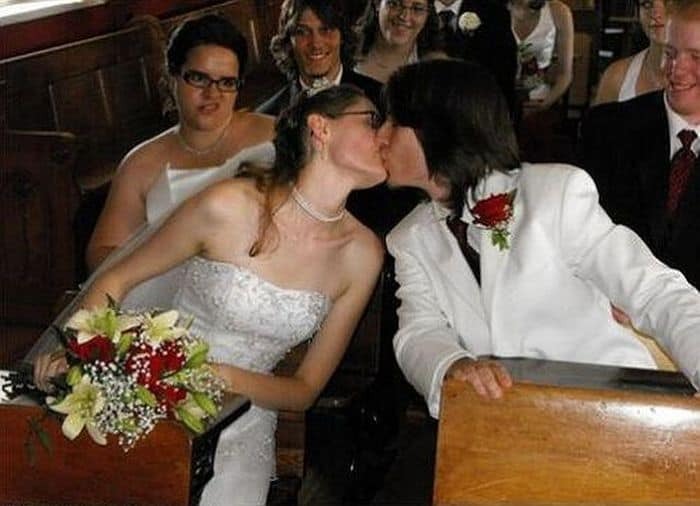 Also, note the guy in the background who seems more interested in the grossed out woman than the kissing couple. Could it be love at first sight? Yep, even animals are getting in on the act. 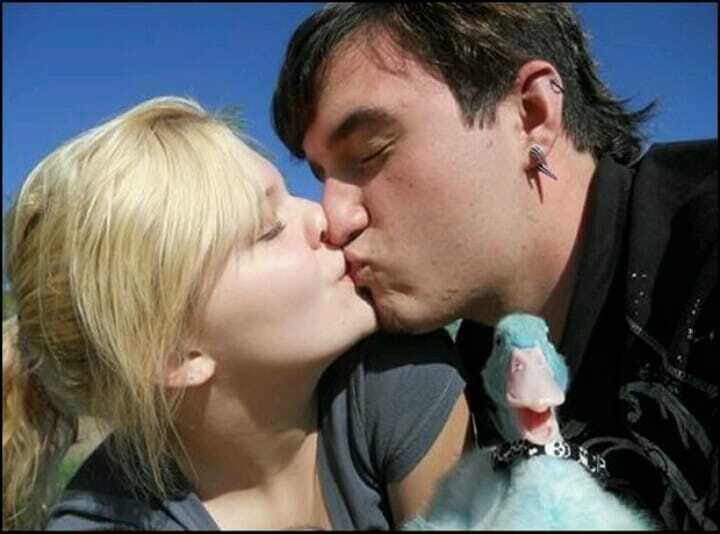 They obviously aren’t aware of what they’re doing, which just makes animal photobombing acts even more funny. Pop quiz: A photo is about to be taken with you in the background. You don’t know anyone involved. You have seconds to choose an expression or pose. What do you do? This guy went for Norwegian black metal vocalist. There’s always one. 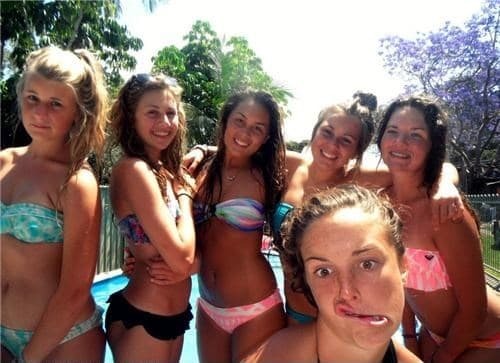 It’s a mainstay of photobombing. Inevitably a photo will turn up in your own collection of someone mooning the camera in the background. Thankfully this guy kept his clothes on. Okay so it may be a movie and it’s most likely taken out of context, but we can’t help but giggle at the wide-eyed monster who’s curious about this mysterious human emotion call “love”.